That’s right, beach volleyball, right here in the Tri-Cities. As beach volleyball’s popularity continues to soar, what better place to have a club than in a region that boasts over 300 days of sunshine a year? Our non-profit club runs from Spring to the Fall and aims to hone the skills of female and male athletes from 10-18, during the typical club and school off-season. 2016 was Sandstorm Beach Volleyball's (SBV) inaugural season. 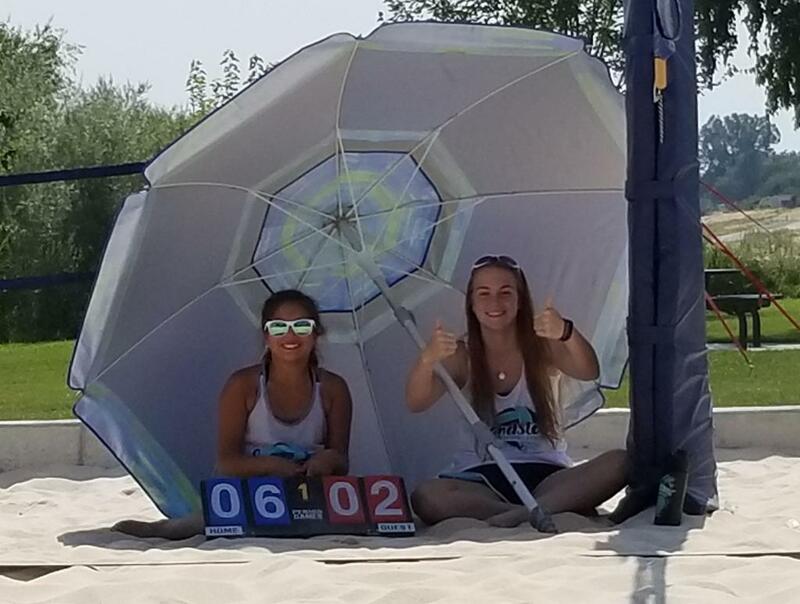 2017 saw the addition of new tournament level sand courts at Leslie Grove Park in Richland, WA and welcomed over 200 players to our tournaments. SBV membership doubled in 2017. SBV membership doubled in 2018 again. The SBV Summer Series tournaments in 2018 hosted over 300 players from all over Washington and Oregon. SBV also brought AVP Pro volleyball player Jeremy Casebeer's to Richland for his 2018 beach volleyball clinic. Don't miss out on your chance to be part of a fun and friendly beach volleyball experience. We’re looking for positive, passionate, team oriented players, who want to expand their skills while being part of something fun and exciting. + See our membership page for more details! Already play school and/or club volleyball? Awesome, here’s why it’s worth it to hit the beach. Beach volleyball isn’t just about enjoying the sun on a gorgeous day in the park—it’s about team and skill building, competition, and fun. At Sandstorm, we’re not focused on “over-coaching” we want to help you succeed through experience—which means less time drilling and more time in the sand playing this great sport. Inspired by beach volleyball and the great collegiate and professional players playing it, we’re hoping to start a love for the game that will grow to achieve a high level of junior athletic development and community support. ©2019 Sandstorm Beach Volleyball / SportsEngine. All Rights Reserved.